Setting up a BC Rich Warlock can make a world of difference in its overall playability and help you master your craft. By setting it up when you change your strings, you can make the guitar sound better as well as play smoother with little or no fret buzz. As BC Rich Warlocks are most often used in heavy metal music, this playability is key when playing fast riffs and blistering solos. Not only is the setup rather easy, but you can save quite a bit of money learning how to do it yourself. Play the guitar and listen for fret buzzing. Fret buzz can be general across the fretboard or at a specific fret. General buzzing can be fixed with an adjustment to the action or neck relief, but individual fret buzz involves evening out the fret that is too high or lightly tapping in down into place with a rubber mallet. The depth of the nut slots may also affect the buzzing of the frets. Adjust the truss rod with an Allen wrench to straighten or bow the neck to your playing style. If you play lightly, make the neck straighter. If you strum or pick hard, you may have to relieve the neck to avoid fret buzz. The truss rod on a BC Rich Warlock can be adjusted by removing the plastic plate at the nut. Turning the truss rod clockwise will straighten the neck, while turning it counterclockwise will create relief. Raise or lower the action, which is the distance from the string to the fretboard, to get the best playability for your style. Each individual string can be raised or lowered at the bridge by turning a small screw with an Allen wrench. The guitar comes with two Allen wrenches, one for the truss rod and one to adjust the action. 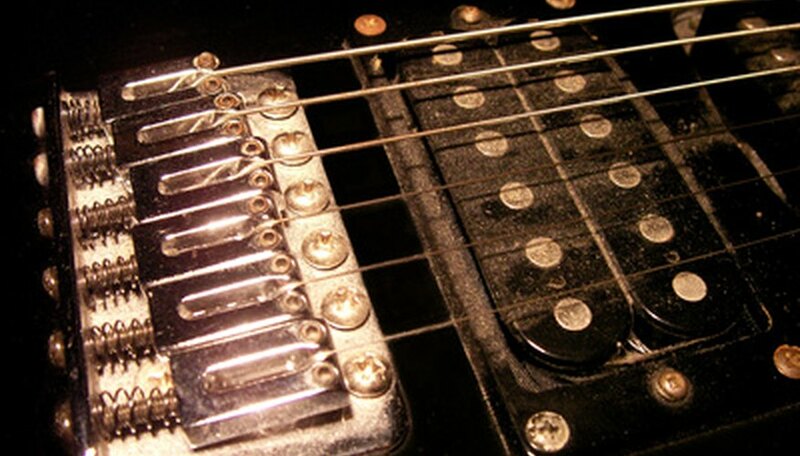 Whether you have a fixed bridge, a Floyd Rose tremolo or a Kahler tremolo, all found on these models, you can raise or lower each string individually. Check the intonation. This assures that each string plays the same note at the 12th fret that it plays when not fretted at all (open). If the intonation is off, you can make adjustments at the bridge to correct the issue. Change the intonation by moving the saddle back and forth until the open string and the 12th-fret note read the same on a tuner. Repeat this action for every string. Check the nut slot depth. If the nut slots are too shallow, the guitar will be harder to play and if the slots are too deep, you will continue to get fret buzz after adjusting the action and neck relief. Wound strings should have half of their diameter above the surface of the nut while non-wound strings should be flush with the top nut surface. Use a small V-shaped file to cut them deeper if necessary. Try not too file your nut slot too deep as if you do, you will have to replace it and start over.